Sometimes a bit of luck greatly helps shooting nicer photos. 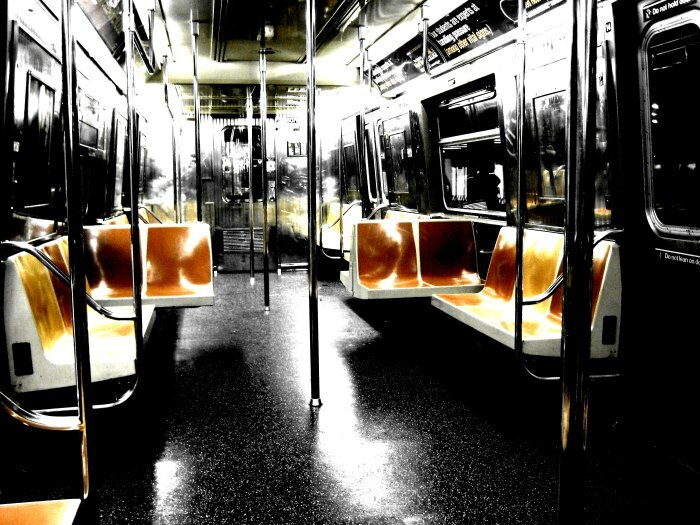 Here, we stepped into a subway car that was completely empty and also one of the old ones, with the metal planks everywhere. So I took a few photos and started playing with my camera's settings. The outcome you see here was done with the "change colors" function with which I captured only the yellow and orange of the seats. Then I overdid contrast adjustment to create this "disco" look.